Since the “Doi Moi” (reform) policy was initiated in Vietnam in 1986, the country has experienced a rapid economic boom and become a favourite destination of foreign investors, said the German-based Tagesschau in an article on August 9. Tagesschau is a German national and international television news service under the German public-service television network ARD. 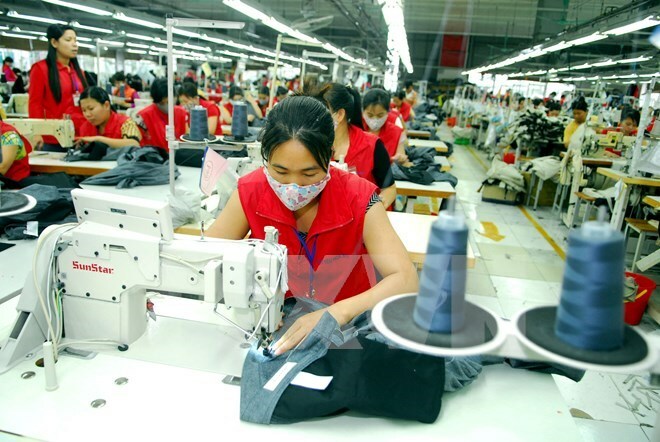 According to Tagesschau, there are significant new opportunities in Vietnam, a country of more than 90 million people, for European companies, particularly given the European Union (EU) and Vietnam concluded their Free Trade Agreement (FTA) a few days ago. Since its “Doi Moi” period, a heap of companies from the Republic of Korea and Japan, including large corporations such as Samsung, LG and Toyota, have invested billions of USD in the nation, the article noted. The EU has been Vietnam’s second largest trade partner after China with trade last year hitting 28 billion EUR. The EU mostly shipped hi-tech products, automobiles, machinery and medical products to Vietnam while Vietnam mainly exported electronic products, coffee, garment and textiles, rice and furniture to the partner, it said. The article hailed Vietnam’s effective effort to get rising inflation under control and experts forecast robust economic growth by about six percent this year and next year. The economy is driven by falling oil prices, low unemployment and low interest rates, it said, adding that Vietnam’s young population is regarded as well-trained and hard-working with more than 40 percent younger than 25 years old.